I'm a little lost here, perhaps because I'm not familiar with Wood's work. You suggest that games, unlike other media, should give all control over the player, thus allowing them to determine what details to focus on. This would eliminate - it seems - the need for a designer to have a specific artistic eye towards what to leave out, what details to "make important in their unimportance". But this would seem to require greater and greater leaps in technology, which you say aren't necessary at the end. If you genuinely want to give the player freedom then the entire world of possibility must be opened to them since they can then choose what details become important. However what I see as the possibility of real artistry (and may be what your point was but I missed it) is in providing a world with appropriate detailed inclusions and omissions but that is structured (through gameplay and narratve) such that the player will naturally want to explore only those areas deemed important by the artist/designer. The artist is still making choices for the player, but the player feels as if they made those choices themselves - the illusion of freedom. I experienced something like this recently playing Everybody Dies. There's both a respect and a frustration with a game that does this well - respect that they create the illusion, but frustration on repeat plays because you feel like you led along by the nose the whole time. But maybe that's an argument for not replaying certain games. @kylie: yeah, I probably didn't explain that part all to well. What I was trying to say is that unlike a novelist or a filmmaker the designer doesn't have control of the camera. 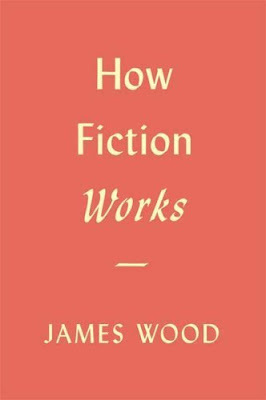 (Wood himself uses the camera metaphor to talk about how novelists use detail) And so detail has a different role in game design. I guess what I have in mind is that designers have a choice over how they fill up the environments and they choose their animations, and by doing this right they can achieve a kind of realism that's different from the kind of realism you get with a higher polygon count. Here's what I was thinking: I didn't put this in the piece, but one thing i notice a lot is that indoor environments in video games are often really generic. Even in good games with great texture work it's like every table looks like every other table. Every couch looks like every other couch. (in big games everything looks really modular over time) What I would really like to see is a house, in a game, where every piece of furniture is different in unique, every picture on the wall tells you something about the people who live there. Like, when you visit a person's house in real life you can tell a lot about them by looking at the book on the shelves, seeing what kind of decorations they have. This can be really subtle. Anyways, I think your point here is really good: the designers could structure the game in such a way that they are encouraged to explore and uncover these sorts of details of their own accord. @iroquis: I see your point now and it's a good one. It requires a bit of a paradigm shift on the part of developers however, because it's a great deal of work that goes into details that many players may fail to notice. But that comes with the territory and just means getting truly comfortable with giving up control to the player. There's great potential with this idea, especially with so-called morality games. Rather than offering fairly straight-forward good/bad choices the player can be given options which they may view as good or bad depending on what details they've noticed in the environment. There's always more to every story than what we're told and conveying more information through details that may or may not be seen emphasizes the player's role not just in making moral choices but in acquiring and interpreting the information used to make that choice. The designer could even abdicate responsibility for labeling a choice as "good" or "bad" because, as is so often the case in life, that decision could validly differ depending on what the player knows. Those details could also go a long way towards making a player feel more connected to a character as well as putting the responsibility on the player if they find the characters lacking in personality. You could have characters with a genuinely subdued personality who don't feel one-dimensional just because they aren't over-the-top and forthcoming with their life story like most characters with any "depth". "What I would really like to see is a house, in a game, where every piece of furniture is different in unique, every picture on the wall tells you something about the people who live there." I'd argue that this is a problem that's much easier to solve with technology than with technique. Generating unique assets for every house in a game (unless there's a very small number of houses) is an impossible task for an art team. But a procedural system that could pseudo-randomly generate living rooms could potentially solve this problem, once the technology gets there. Further, if it possessed the ability to translate photographs into in-game textures, it could crawl the net looking for images of living rooms and feeding those into its data sources. And before you know it, we'll have SkyNet and the we'll be fighting the world's deadliest interior decorators. Remember, I called it here first.